Magnalight.com announced today the release of an innovative manhole mounted light fixture to its explosion proof lighting inventory. The Magnalight MMLP-1MLED Temporary Manhole Mount Light Fixture is approved for use in enclosed spaces and produces 10,000 lumens of light in a wide flood pattern, making it ideal for illuminating large areas. A 16 inch LED light head attached to a 21" man-way support bracket allows this light to be simply dropped into place on the typical standard sized manholes and entryways used on underground sewer and drainage lines, storage tanks, and railcars. 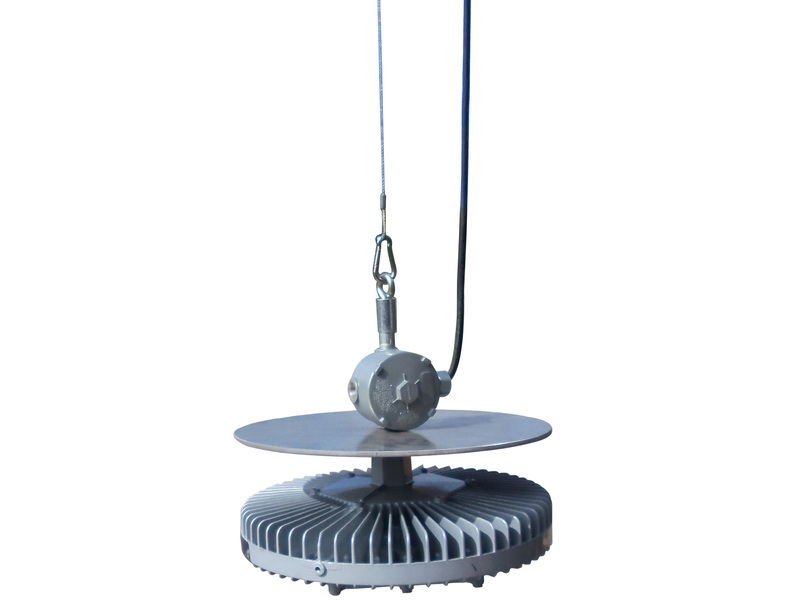 The Magnalight MMLP-1MLED Temporary Manhole Mount Light Fixture is approved for use in enclosed spaces and produces 10,000 lumens of light in a wide flood pattern. The Magnalight MMLP-1MLED Temporary Manhole Mount Light Fixture provides operators in hazardous enclosed locations with a highly convenient and easily deployed explosion proof lighting solution. 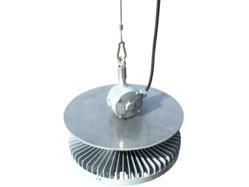 A 16 inch diameter LED light head constructed of copper free aluminum attached to a 21” diameter support plate is equipped with a lifting eyelet, which allows users to simply lower the entire unit into place over an open manhole. Once in place, the light fixture hangs in place below the entryway, effectively creating a high power light source that does not cause interference with the work space as is commonly found with string lights. This LED light fixture produces 10,000 lumens of light in a wide flood pattern while drawing only 150 watts and can be operated with voltages of 120 VAC to 277 VAC. The light from this fixture has a color temperature of 6000K and a color rendering index of 70, making it well suited for close work applications requiring good color rendering and strong contrast. The LED light head has a 60,000 hour rated lifespan with 80% lumen retention and creates far less heat than comparable HID or halogen equipped lights, making it well suited for applications where hot conditions are an issue. This unit is rated Class 1 Division 1 & 2 Groups C and D, Class 2 Division 1 & 2 Groups E, F, G, and Class 3, making it suitable for a wide variety of hazardous locations where gases, vapors, and dusts are present. Constructed of aluminum and steel with a durable powder coat finish on the light head, this unit will provide years of reliable operation with low maintenance costs and minimal deployment effort. Larson Electronics’ Magnalight.com carries an extensive line of explosion proof LED lights, hazardous location lights, intrinsically safe LED lights, portable explosion proof lights and intrinsically safe LED flashlights. You can view Larson Electronics’ entire Magnalight line of explosion proof lighting at Magnalight.com. Magnalight can be reached directly by calling toll free, 1-800-369-6671 or 1-214-616-6180 for international inquiries. Explosion Proof LED Manhole Entryway LightA 16 inch diameter LED light head constructed of copper free aluminum attached to a 21” diameter support plate is equipped with a lifting eyelet, which allows users to simply lower the entire unit into place over an open manhole.